Earlier today we heard that the new Samsung Galaxy Note 8 could be made official on the 23rd of August and now it looks like Samsung has big plans for sales of the handset. According to a recent report, Samsung is looking to ship 9 million Samsung Galaxy Note 8 smartphones initially and then produce another three million units of the device each month until the end of the year. 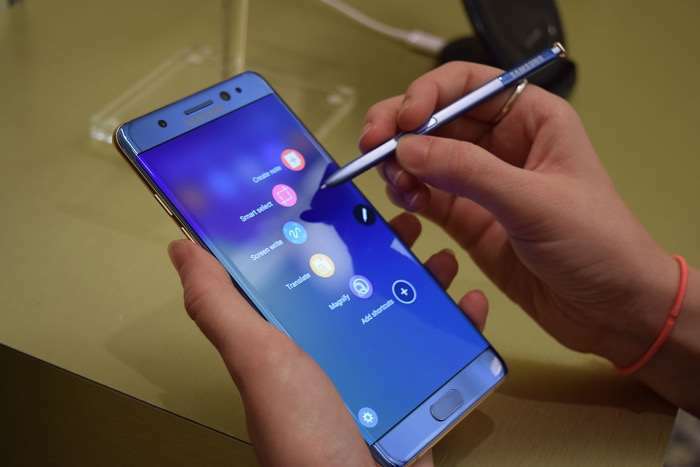 The Galaxy Note 8 could end up being a popular handset for Samsung, the company is looking to recover its Note customers after the Note 7 problems last year. It will be interesting to see if sales of the new Galaxy Note 8 are going to be as high as Samsung wants and whether the handset will end up being a popular device. The handset is rumored to come with a 6.3-inch display with a QHD resolution and either an Exynos 8995 processor or a Qualcomm Snapdragon 835 processor, plus 6GB of RAM. Other rumored specifications on the Galaxy Note 8 include dual 12 megapixel cameras and a choice of either 64GB or 128GB of storage.